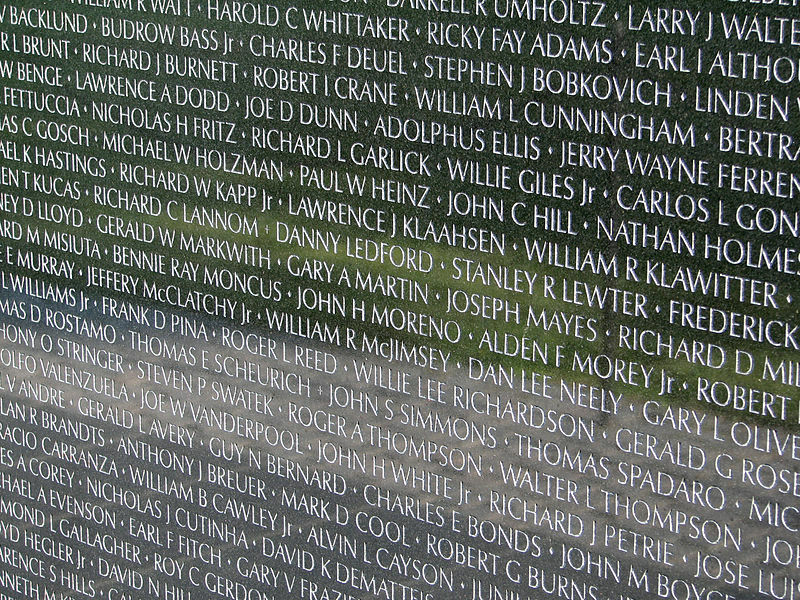 You probably know this is a photo of “the wall,” the most famous section of the Viet Nam war memorial in DC. It was designed by Maya Lin, a Chinese American architect. The purpose of the design was to create the image (when seen from above) of a giant wound, not a sign of victory, but a sign of hurt, of pain. Many people objected to this “non-triumphant” design, as well as the idea of an Asian designing it (even though Lin was Chinese and not Viet Namese, and by heritage only, having no prior allegiances to another nation). I can’t think of a more appropriate way to go about it. Nobody knows exactly where this phrase comes from but I heard it through the grapevine that the oldest and most likely source is Ecclesiastes 10:20. Or it could just be a reference to carrier pigeons. Perhaps Solomon (or whoever wrote the wisdom he collected) was also thinking of carrier pigeons. Or parrots. Solomon acquired a lot of exotic things. Maybe parrots also. F. Scott Fizgerald wanted to write a great novel about his time, about the 1920s, about an era that could be summarized by the symbol of a champagne bottle exploding into the night emptying itself hollow with intoxication. You like that? Well, he didn’t use that, but what he did use was a giant, haunting billboard for a long-forgotten oculist (aka eye doctor). This one goes out to all the moms. That awkward moment when Batman is actually the Joker’s father. When I graduated college for the first time I made a list of advice for people attending or graduating from Freedom Hardly Man. This advice could also apply to other Christian schools, and even any other university to a degree. After 5 years away, I dispense with this advice once again.